Giant ragweed cause giant allergy problems. If you have shady areas in your landscape, or live near a creek, you may have spotted this noxious weed popping up around your property. You'll often see it growing alongside waterways, lakes or the edges of agricultural fields. 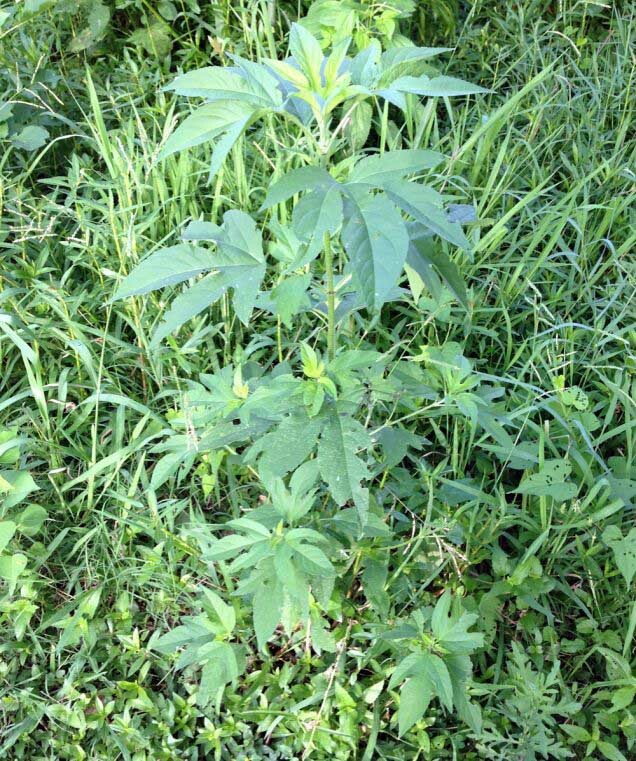 Giant ragweed (Ambrosia trifida) grows fast and large, reaching up to 12-feet tall. Not only does this weed out-compete nearby plants and crops for light and water, its pollen is a major allergen. If you find yourself sniffling and sneezing come late-summer or early-fall, this plant is probably the one to blame!